For more information please see the News and Media Page, which includes two short videos of John Norseman talking about the book, as well as radio interviews and media articles. After a traumatic and emotionally abusive childhood, John went on to become CEO of four major companies. In doing so, he not only gained the respect of others, but also re-built his self-esteem and self-confidence. In 2007 he acknowledged he was a practical intuitive and decided to change his life, leave the corporate high rises, and acknowledge his destiny by both realizing his spirituality, and finally becoming a practicing shaman, providing spiritual healing, guidance and teaching. 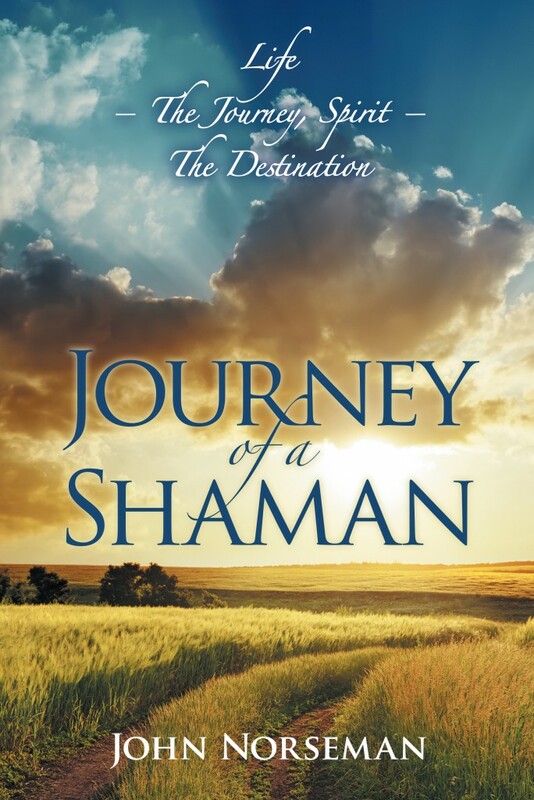 About the book, Journey of a Shaman. This book will help people to change their lives to be whatever they wish it to be. John wrote his autobiography in order to show others how he realized his dreams, overcoming many obstacles on the way. There are many messages in the book, for people of all ages, that give practical advice, motivation and inspiration on the path to self-actualization. “John’s story was inspiring. It opened my eyes to my own emotions that I was ignoring. It made me realize I needed to let go of old feelings that no longer serve me. His writing will captivate your time. Before you know it the book is finished and you just want more. Not only is it a self help book, it is very entertaining as well.